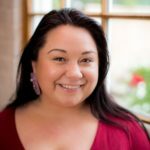 Meet the Native Women in the Arts team. Denise Bolduc is an accomplished creative leader recognized for her significant contributions and involvement within a multitude of diverse creative initiatives. In 2017 alone, as Creative Director/Producer her visionary impact is reflective in the following programs: Intersections of Culture (CAPACOA, Ottawa), Tributaries, (Luminato Festival Opening, Toronto), First Scene Indigenous Presenters Program (National Arts Centre, Ottawa), and Beyond 150 Years: An Acknowledgement of Indigenous Film (REEL CANADA/VIFF, Vancouver). Denise was the Co-Founder/Artistic Director of Canada’s premier Indigenous music organization, the Aboriginal Music Project, and the founding Artistic Director and Producer of the inaugural Planet IndigenUs Festival. Other recent, significant activities include: a co-presenting partnership with Native Women in the Arts and the symposium, Miiyuu Pimaatswin (2016), a musical cabaret-retrospective honouring Tomson Highway with Songs in the Key of Cree (2015), the grand-finale program of the PAN AM PATH, Maadaadizi/Summer Journeys (2015), and the Thunderbird Marketplace, a premier initiative featuring 10 artists at the One of the Kind Show (2014). 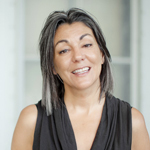 Denise served for many years as a Program Officer of Indigenous Arts at the Ontario Arts Council, and as the first Music & Dance Program Officer with the Canada Council for the Arts. Internationally Denise has programmed and presented at festivals and cultural events in Australia, New Zealand and Ireland. Outside of programming, she is also a sought after guest speaker, host, consultant, instructor, and mentor. In addition to programming, she continues to serve on numerous committees, arts juries and boards, working with a diversity of organizations. Denise is the 2017 Laureate of the Ontario Arts Council’s Indigenous Arts Award, the recipient of the SOLID Festival’s Arts Leadership Award (2015), and the Indigenous Business Leadership Award recipient (Toronto, 2009). Denise is presently participating in an international Curatorial Advisory group with the Australian Performing Arts Market and Black Dance, and is also deeply involved with the development of various other exciting initiatives. Denise is Anishinaabe from the Lake Superior Territory, and a member of the Batchewana First Nation. Ariel Smith is an award winning nêhiyaw and Jewish filmmaker, video artist, writer, and cultural worker. Having created independent media art since 2001, much of her work has shown at festivals and galleries across Canada and internationally Ariel is largely self-taught, but honed many of her skills by becoming heavily involved in artist-run centres in Vancouver, Montreal, Toronto and Ottawa. Her passion for artist-run culture has become an integral part of her practice. Ariel has over a decade of experience in arts administration and management. 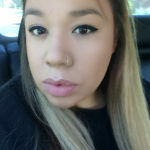 She has worked as the Technical Director of SAW Video Media Arts Centre in Ottawa Ontario from 2006 to 2014, was the Director of the National Indigenous Media Arts Coalition from 2013 to 2016 and, most recently, was the Executive Director of imagineNATIVE Film + Media Arts Festival where she oversaw the 2016 and 2017 festival editions. 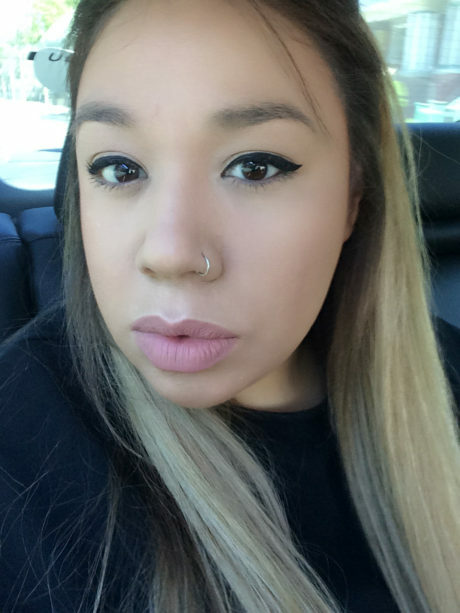 Ariel has worked as a programmer for such organizations as Galerie SAW Gallery, the Ottawa International Animation Festival, Reel Canada, and imagineNATIVE. She is currently a guest curator for an upcoming International Indigenous Quinquennial exhibition at the National Gallery of Canada. Quach George is originally from Shawnee, Oklahoma with roots from the Absentee Shawnee Tribe of Oklahoma and Mohawks of Akwesasne. She has an educational background in Fashion Merchandising, with a focus on Event Planning and First Nations Studies. Quach has worked as a fashion show producer, stage manager, event promoter, stylist and designer for various events within Canada. Having previously worked with imagineNATIVE Film + Media Arts Festival, as part of the events team, Luminato Festival Tributaries: Luminato Opening Event, as Event Coordinator and with Setsune Indigenous Fashion Incubator, as the Event Coordinator for the Indian Giver exhibition. She is also an Aboriginal Cultural Ambassador with experience in educational programming and facilitation, visual and performance arts, as well as heritage interpretation. With a love for all things art related, Quach is committed to offering the Indigenous community with quality programs that offer a resurgence and preservation of Indigenous arts and culture.